I’ll say it…my rescue dog rescued me. I’m not perfect. We all have issues, right? But having a dog around changes you. Your mindset, health and mental stability. For the better. My life has changed drastically since adopting my dog, Maizey. I find myself smiling and enjoying life more since becoming a parent. While it’s a huge commitment, I look forward to seeing her face every morning. When I come home, being greeted by that wagging tail…let’s be honest – it’s the whole back end. Even the way she snores, makes me smile. In essence, my pup rescued me from myself. Before I had my dog, there were days that I had a hard time getting out of bed in the morning. There were even times where doing daily self-care activities felt strenuous. After I adopted my pooch, I had no choice but to get up each day to feed and walk her. And I wanted to. 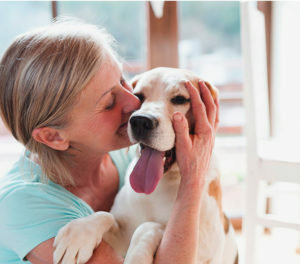 In truth, you begin to take better care of yourself when you are taking care of your dog. Now, I enjoy walking her every day and the exercise has done wonders for me. Pups are curious creatures. They are interested in so many things, including new smells, new products, new people and even new places. In fact, exploring is one of their favorite past times. Watching my dog explore the world around her led me to explore my own surroundings. My dog and I used to go to the same park every day. We went on the same walk day after day. Eventually, this got boring. So I started exploring pet-friendly things to do with her near my home. This led me to finding new dog-friendly places like grocery stores, coffee shops and restaurants. It has been such a treat to explore all these new places with my dog by my side. I highly recommend checking out pet-friendly establishments in your area. But before visiting any new venue, learn all their rules. Some places have age limits for dogs and do not allow younger or unvaccinated pups to visit. Check Out This List of 10 Major Retail Stores That Allow Dogs. I believe just by petting my dog, I have become a much calmer person. Touch is commonly known as a stress reliever and can greatly improve your health. Studies have shown that petting a dog can reduce heart rate, blood pressure and even increase the production of serotonin in humans. 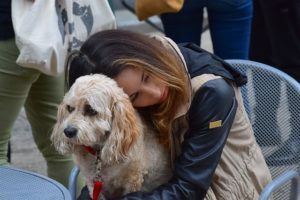 This has come to be known as the “Pet Effect.” One such study found in the Journal Of Behavioral Medicine shows the cardiovascular effects of human-dog interactions. The research shows how petting your dog lowers blood pressure. In fact, the study monitored people petting dogs, talking to dogs and people talking to the person giving the experiment. While petting the dogs, blood pressure was found to be the lowest. Dogs can help people to overcome depression and give them greater life purpose. There are even a few books on this topic. One great book is Julie Barton’s Dog Medicine. 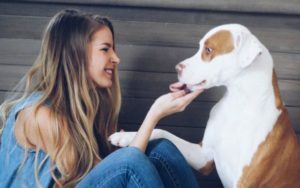 Barton’s book talks about her depression and how her dog helped her to overcome it. As a pet lover, I feel as though I have been able to keep my emotions more in check. I don’t feel so alone anymore, and I am a much happier person. Have you ever realized how much a dog can be a human-magnet? Every time I take a walk with my pup, we meet new people. 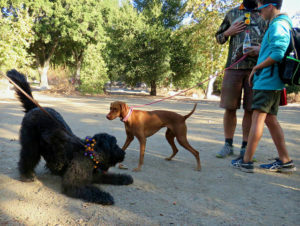 We have come to frequent local parks where we have befriended other dogs and their owners together. It has been fun meeting new people and dogs on this puppy adventure. We never know who we will meet or where our next adventure will take us. Connecting with new people has helped me with my self-confidence and has reduced feelings of loneliness. Dogs take every opportunity to enjoy themselves and live in the moment. They find joy in the little things. As I get older, it has been harder to be spontaneous or to go with the flow. It’s like I am stuck in the same routine day in and day out. However, my dog has taught me to just live in the moment. I don’t mind going for an unscheduled walk or to play a random game of catch with her. It has helped me to be more spontaneous and try new things. I have begun to let my inner child come out more often. The best thing my dog has taught me is the meaning of unconditional love. Dogs are loyal, lovable and always have your back. Maybe that is why they’re considered our “best friends.” Dogs love you just because you are you and they don’t hold grudges or reservations. They are always happy to see you when you come home and are ready to go with you anywhere, no questions asked. Sometimes a little love is all you need. After work, it was always sad to come home to an empty house. It can be quite lonely at times. My pup has made coming home much more enjoyable. It’s something I look forward to. I don’t even feel the need to go out as much as I used to. It’s fun just hanging out, exploring new things and making memories with her. Sometimes I even feel guilty when I leave her at home. 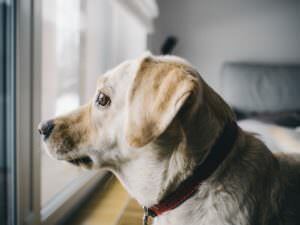 If you are feeling like it is hard to come home to an empty house at night, consider getting a dog. It changes your mindset completely. 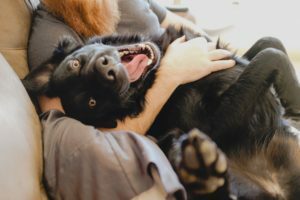 Dogs are a huge responsibility, and you will find yourself being more responsible just by sharing your life with one (or two?). 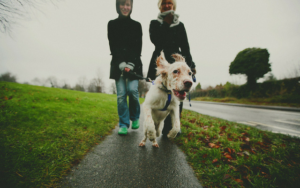 Many of the choices you make will revolve around your pup. What time will you be home? 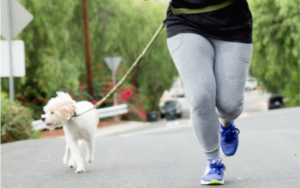 Should you get a dog walker? Should you pick up dog food after work? A dog will make you more aware of your surroundings and more responsible. I have learned to make a schedule and a plan of action for every day. On days that I know I will not be home for an extended period of time, I will hire a dog sitter to care for my pup. I feel as though I have grown into a more responsible person just be having sweet Maizey around. Rescue Dog? Don’t Be Fooled. 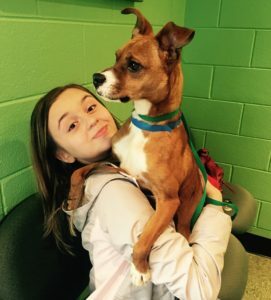 Rescuing a sweet pup can make a huge difference in the life of that lucky pooch. But it will also make a huge difference in your life, too. A positive difference. Dogs bring joy to our lives. Immense, immeasurable joy. My rescue pup has rescued me in so many ways. I couldn’t imagine my life without her.